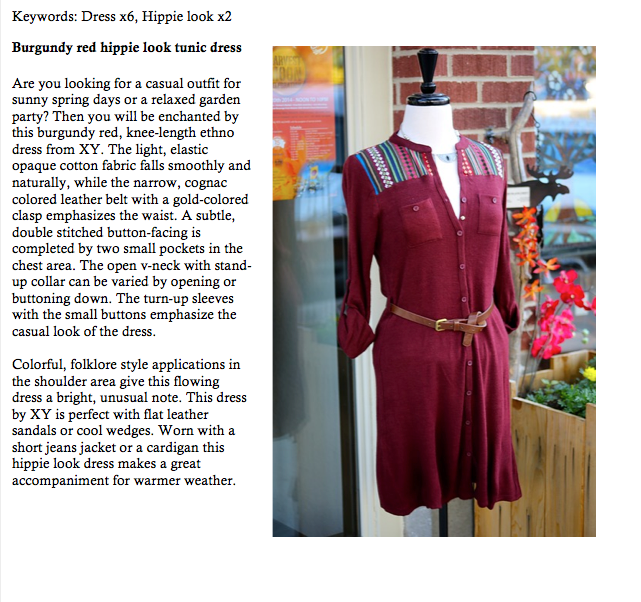 Anyone who is online comes across product descriptions. Online fashion shops not only rely on great pictures but also on the powers of persuasion of talented writers to present their items in the proper light. The everyday tasks of many of our Clickworkers involve writing product descriptions or category texts because clients need more than just a great picture. They also need an appealing text to know what makes a piece of clothing so special. What do you have to keep in mind when writing fashion texts? When it comes to fashion, people are usually influenced by their emotions. The customer wants to feel good and look good in the garment; but he also wants to highlight his personality and communicate a specific image of himself. What belongs in the text and what doesn’t? Many shops want the texts to be timeless; therefore “currently”, “at the moment” or “this month” ought to be left out. 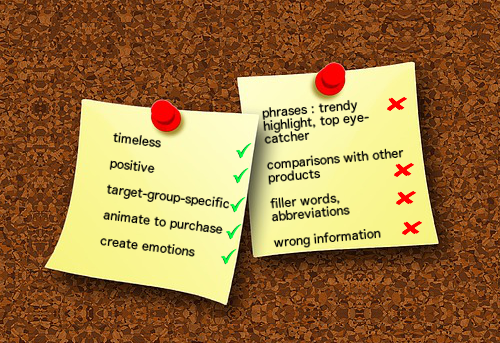 Filler words such as “quite”, “occasionally” or “virtually”, proverbs, abbreviations as well as unnecessary (promotional) phrases also ought to be avoided. Of course, every client wants to see his or her items presented as favorably as possible. Nevertheless, you must not lie and describe the item in terms that do not apply. Also avoid comparisons with other products, for example, “The handbag by X offers much more wearing comfort than similar models by Y”. Superlatives such as “the best, most beautiful model” are generally not well liked because they sound exaggerated and implausible. Too many unnecessary details or inappropriate terminology can discourage customers. Commonplace terms such as ” trendy highlight” or “top eye-catcher” do not arouse interest. Therefore, focus on the essentials to help convince the reader of his purchase. How would you talk to your friends about a piece of clothing that looks especially good on you? Emotional, descriptive and maybe a bit flowery – Exactly as in many fashion texts. A bit of subjectivity and a certain creative flair provide fashion texts with an emotional, textual image of much sought-after garments. Of course, it’s important to speak the “lingo” of your target audience. You will probably write about “cool, “stylish” or “comfortable” garments in a shop for young fashion rather than in an online shop that mainly sells adult fashion. This type of shop would demand a different, more sophisticated language. Example: “The floral pattern emphasizes the elegant design of the wraparound dress”. Whether you use direct speech in your text or not depends on the clients’ specifications. Please do not forget: The amount of detail in the product description depends on the respective task and the work instructions!